Writer and activist Rebecca Solnit fearlessly tells the truth about misogyny, injustice, and environmental destruction. But, as Lindsay Kyte reported in this 2016 profile, Solnit tells us another important truth: we have hope, and it is found in uncertainty. Rebecca Solnit’s activism embraces income inequality, injustice and climate change. 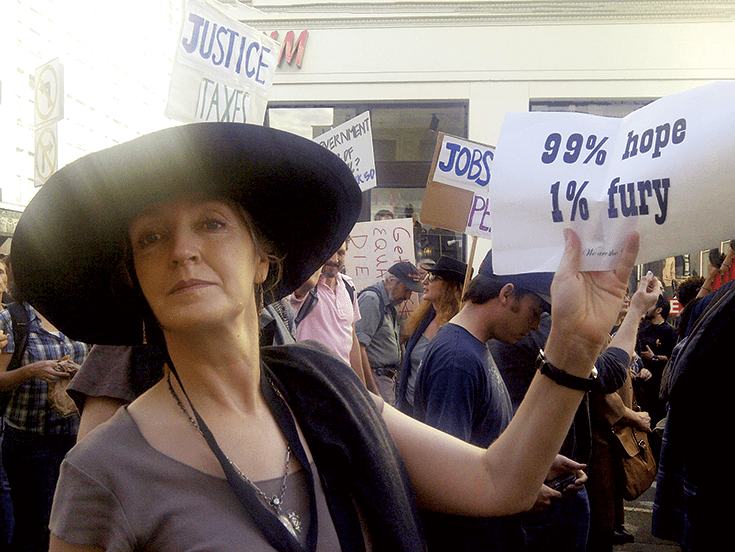 Here she is pictured at an early Occupy Wall Street demonstration in San Francisco. Photo courtesy of Rebecca Solnit. Solnit is best known as an important feminist writer and activist. Her 2008 essay Men Explain Things to Me is credited with launching the term “mansplaining.” But as an award-winning journalist, historian, and activist, her work spans many genres, disciplines, and causes: landscapes, criticism, human rights, technology, indigenous peoples, gender, visual art, and climate change. Solnit learned to read the first week she attended school. “By the second semester, I realized that somebody got to write the books, and I made my final career decision then,” she says. Solnit’s teenage years were no better. She was ignored during her parents’ tumultuous divorce and experienced high school as a “behavior-modification center” where she did not fit in. She dropped out at fifteen, got her GED, and started college at sixteen, with no encouragement except her own ambition. When she went to UC Berkeley journalism school, she again had the experience of not fitting in, this time because of her involvement in the punk scene, which she described to The Daily Beast as “wonderful, because it was for nerds and misfits and weirdos and people who were willing to embrace something that was for outsiders, not insiders.” The familiar feeling of not being “one of” was a theme she would later embrace in her writing. When she ended up on unemployment, Solnit had to ask herself some hard questions. She didn’t yet have confidence in her writing and assumed it would be a side project while working at other jobs. Yet she was starting to realize that her own struggles to be seen and heard could serve her voice as a writer, and in turn she could give voice to those facing similar challenges, especially other women. She decided writing was going to be her path, even though it wasn’t going to be easy. Hope is an essential part of Solnit’s work, and she has come to see that uncertainty is integral to hope. Solnit says that exploring hope requires an investigation of its other side—despair, which she views as certainty grounded in the negative. She hears despair expressed often, in statements such as “We don’t have any power,” “It didn’t change anything,” and “Nonviolence doesn’t work.” The implication is that a victory that isn’t final isn’t a victory at all. 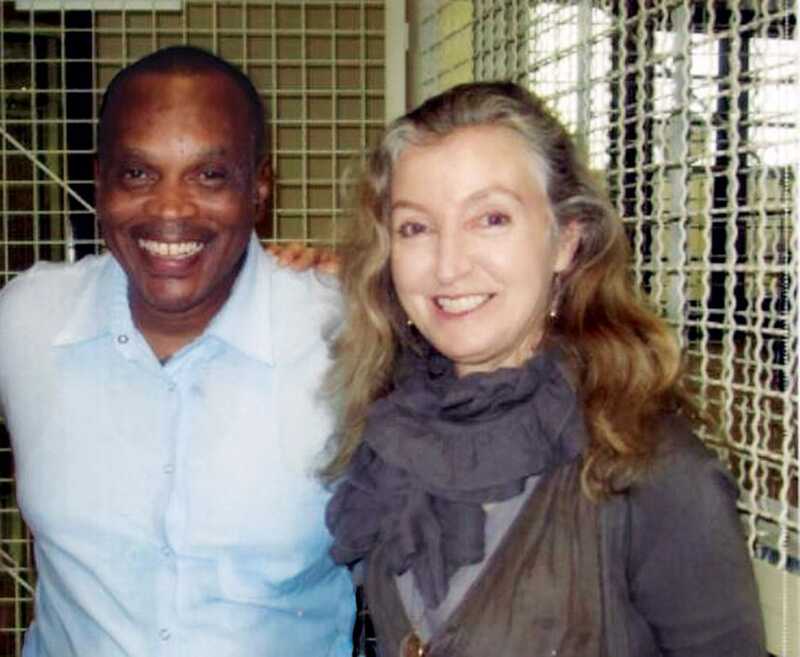 Rebecca Solnit visits prisoner Jarvis Jay Masters on death row in San Quentin. Rebecca Solnit doesn’t label herself a Buddhist. She likes the term “bad Buddhist,” which she heard poet Gary Snyder use for people who don’t sit every day, follow the rules, or observe all the precepts perfectly. It’s an approach, she says, in which “Buddhism is your guiding star, not the planet you live on necessarily every day.” For her, formal meditation is not the only way to practice. “Practice is how you’re interacting with everything all the time,” she says. 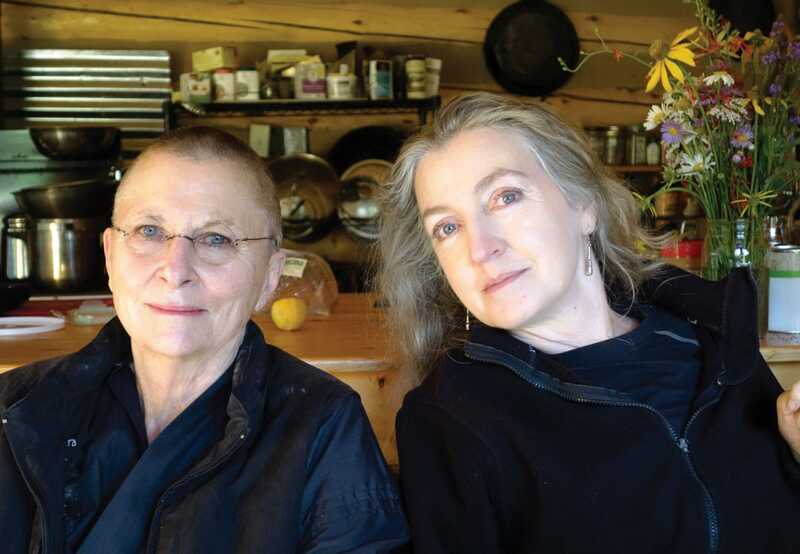 Last year, Rebecca Solnit joined Roshi Joan Halifax on Upaya Zen Center’s annual medical pilgrimage in Nepal, trekking to remote villages in the Himalayas with a team of Western and traditional doctors. Photo by Noah Rosseter. Solnit’s Buddhist influences have come from many traditions. 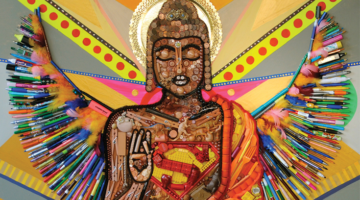 “There’s this interesting American project of creating a kind of hybrid Buddhism, not necessarily between the lineages, but more attuned to contemporary American realities,” she says. “Ambient Buddhism” is how Solnit likes to describe the Buddhist themes that appear in her work and inform her understanding of hope and despair. “Buddhism is acceptance that you’re not totally in control,” she says. “Then there are psychoanalytic and other perspectives where you have to recognize that you contain immense depth and darknesses. You don’t even know yourself completely, so how can you know someone else? We don’t even understand the present, so how can we understand the future? 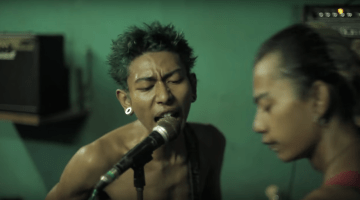 This gives you, on the one hand, a kind of confidence that maybe what we do matters and also helps us see that we don’t know if it matters or not.” She says one of the many joys of Buddhism is its comfort with paradox. “And being given multiple lifetimes is very helpful,” she laughs. 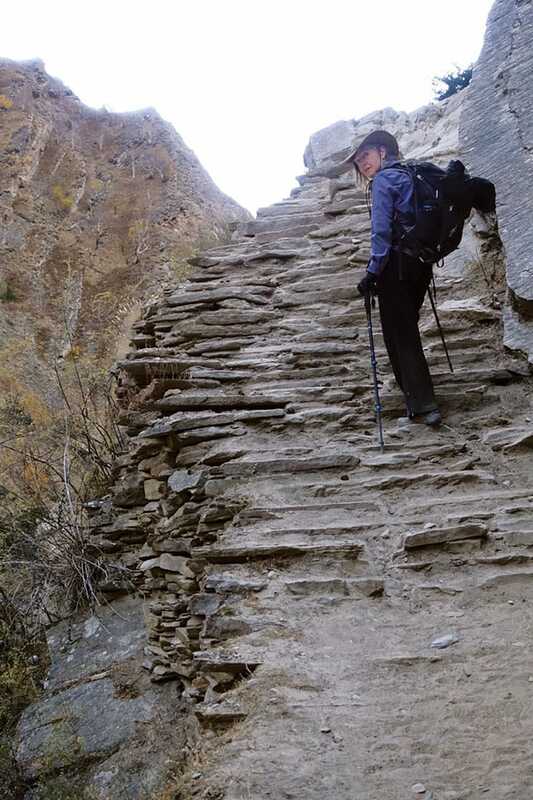 Rebecca Solnit hiking in Nepal. “Women have been silent and silenced in a lot of ways,” Solnit says. She sees both the ground women have gained and how much is still left to do, particularly in the area of violence against women. Rebecca Solnit finds solace, inspiration, and teachings in landscapes both rural and urban, from the beach at low tide to homeless people on the street. She is passionate about spreading awareness of climate change, a cause in which she sees great advancements. 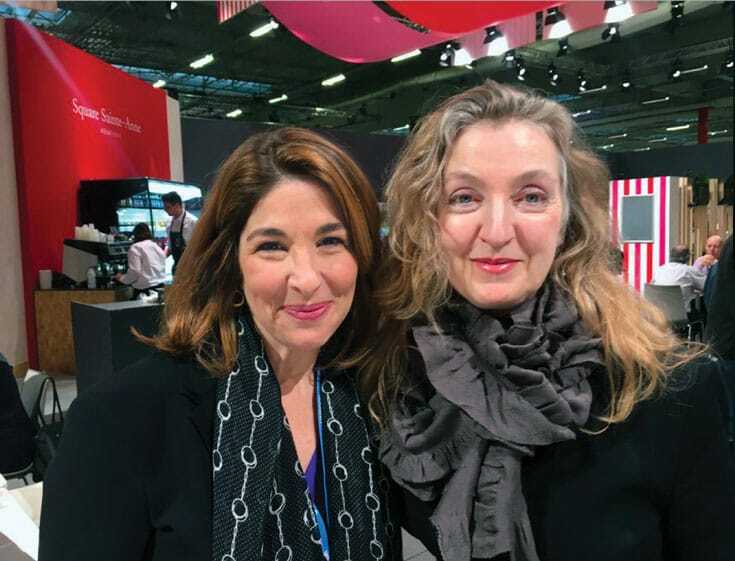 Rebecca Solnit with author Naomi Klein at the Paris climate talks. Facing perhaps the greatest existential crisis in human history in climate change, Solnit says we need to ask ourselves, “Who are we in the face of this? What does it ask of us, and how do we respond?” Yet when others despair, Solnit has faith in the power of human awareness, action, and cooperation. “It feels like millions, maybe billions, of people are walking away from a status quo that didn’t serve them, that didn’t describe the world accurately, and are now making more beautiful versions, together.” When others fear uncertainty, Rebecca Solnit sees hope in what can be found when people feel the most lost.